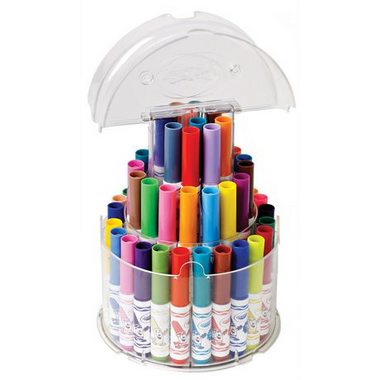 This telescoping marker tower contains 50 different pip-squeak markers. The telescoping feature allows easy access to all 50 markers while it folds down for easy storage. 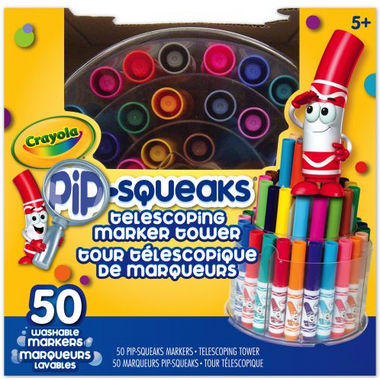 To top things off, Pip Squeaks are washable markers! Handy container to access all 50 colours. Not as sturdy as I hoped for the money & the lid doesn't secure once pkg is opened.